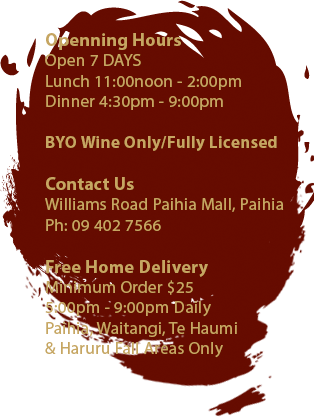 Located in Paihia, King Wah Chinese Seafood Restaurant has been at the forefront of the Paihia dining scene for many years. Incidentally, it is also one of the few Chinese dining establishments that actually make you feel like you're in hometown. The service is humble and the food is delicious!